Lately I've been obsessed with the idea of going to the park and simply swinging on the swing set. The other evening Daryl and I decided we would walk over to a park near by our place and take my outfit pictures there and swing afterwards. Well it turns out the park is under construction and the swing set was closed off! I was pretty disappointed, but we ended up passing the local elementary school on the way and stopped by there to swing instead! 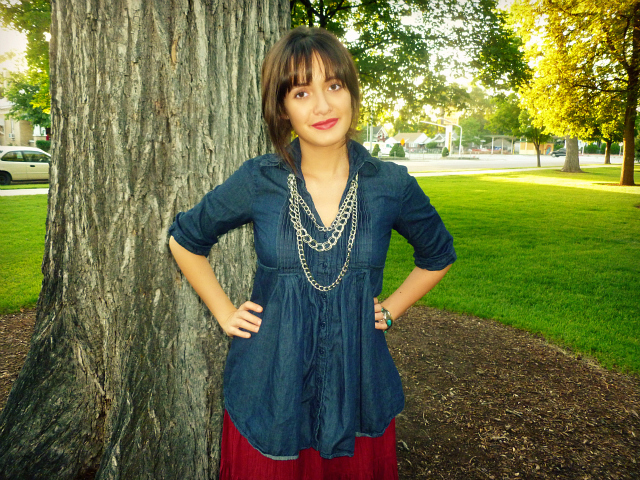 PS: Don't forget to enter the Cents of Style Giveaway! PPS: Don't forget to enter Christmas in July! Red is your color. That skirt looks great on you. Those wedges are too cute! You are really selling me on this Cents of Style business! so today is the 5th and they said my battery would come today through friday... i really hope it's today. that would give me piece of mind for friday. was daryl able to get his shift covered? when am i taking your photos? Cute look! Love your wedges! I love these rich colors, beautiful photos too! 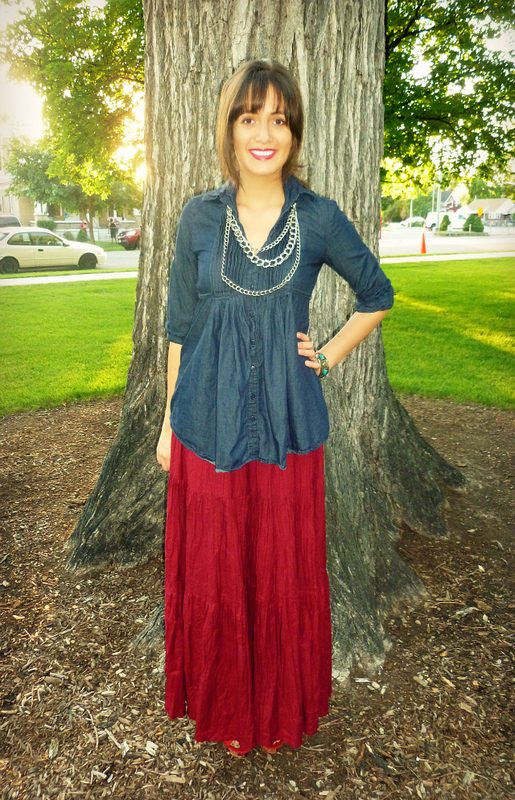 Love how you did the layering in this look. :) And those wedges are on my want list! 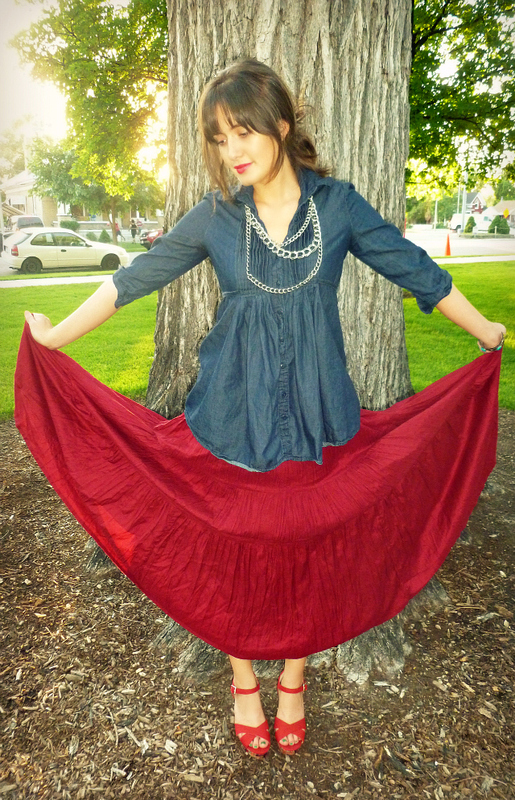 the scarlet skirt and matching wedges are beautiful! I love the zig zag pattern on the shoes! 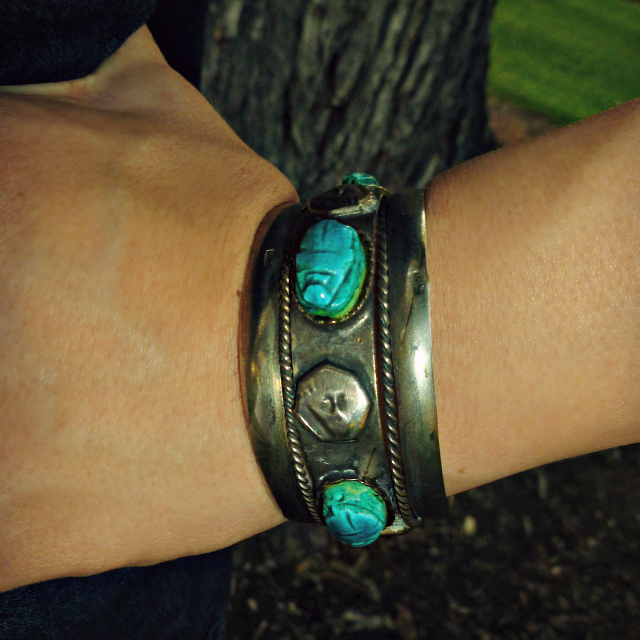 Lovely chambray top and pretty accessories too, I like how you match the turquoise bracelet with your nail colors. Fabulous outfit! I love this outfit. Not to mention red is my favorite color. Great post! YOu are too gorgeous! Love your outfit. :) Swinging on swings is the best! 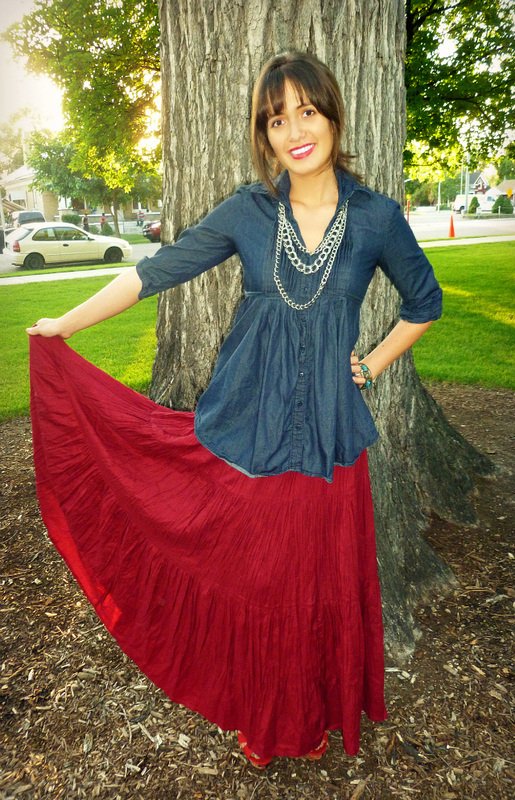 loooove that skirt! the red is gorgeous! I have to agree; red is definitely your color!